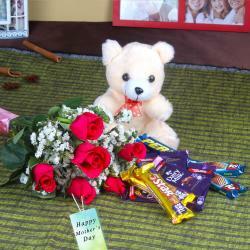 Product Consist : 12 Pink Roses Bouquet, 1/2 Kg Pineapple Cake, 3 Bars of Cadbury Dairy Milk Chocolate (Weight : 11 Gms each) along with 6 Inch Teddy Bear. 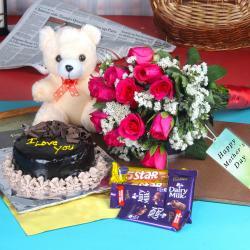 Mother' day is a very special occasion for the mothers, kids and children, for sure your mom will say thanks to you for creating such a beautiful moments for her. Picked fresh from the farm to offer your special recipient a bouquet blushing with an unforgettable grace, the Sweet Emotions hamper is set to bring a soft beauty straight to their door. 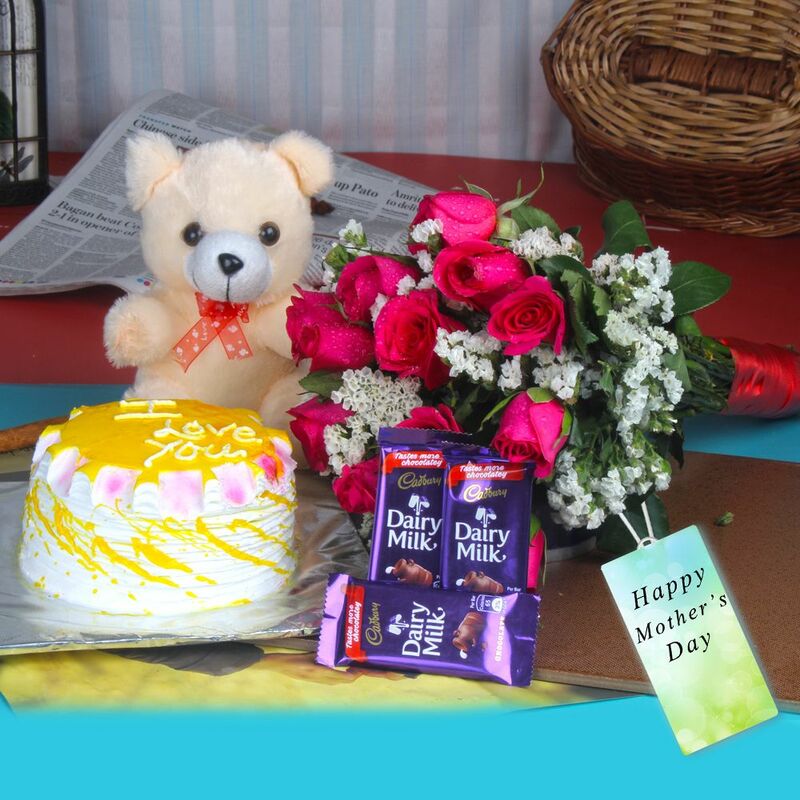 In this gift set mom gets a cute love with some delicious sweet munch so send these products let her pamper herself to her heart' content, all courtesy of you. The importance and worth of a mother is difficult to be expressed in words so through this gifting express your special feelings and respect. 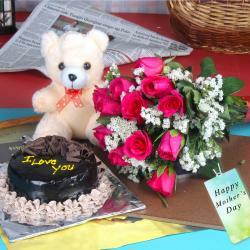 This Amazing Gifts for Mothers Day gift is exclusively available at Giftacrossindia.com only. 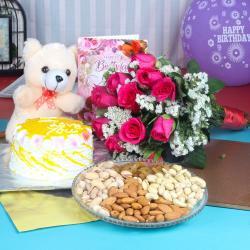 Product Includes : 12 Pink Roses Bouquet, 1/2 Kg Pineapple Cake, 3 Bars of Cadbury Dairy Milk Chocolate (Weight : 11 gms each) along with 6 Inch Teddy Bear.